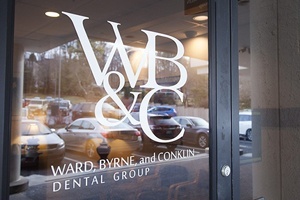 Welcome to the Conklin & Ward Dental Group of Towson. Our team of skilled professionals offer a wide range of family-friendly dental services to ensure every member of your family can achieve and maintain their optimal level of oral health. 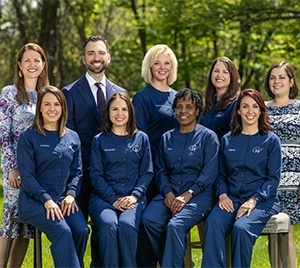 If you’re new to Towson or one of our surrounding communities, we hope you’ll give our team the opportunity to show you why patients consider our team to be the best dentist in Towson. Give our team a call to learn more or schedule an appointment to visit us. Some dental offices provide adequate dental care, but they’re not great at patient care. At Conklin & Ward Dental Group, our team of skilled professionals deliver patient-centered dentistry services. That means we take the time to get to know you, answer your questions, and we utilize our state-of-the-art dental technologies to help you better understand any oral health concerns and all of your treatment options. In short, we put your right where you belong at the center of your dental treatment planning process. 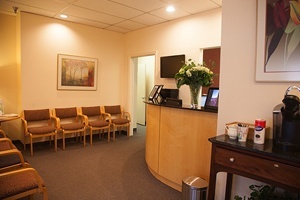 Family dentistry – we do our utmost to accommodate the whole family with a block of appointments on the same day. No need to worry about making multiple trips to several different dental offices. Dental implants – in the past, tooth replacement options only repaired those parts of the smile visible above the gum line. Dental implants allow us to replace both the roots and the crowns of missing teeth fully repairing your smile. Smile makeovers – we offer a range of cosmetic dentistry services, and we can combine a number of these services to create a customized smile makeover plan to deliver a beautiful smile you’ll be proud to share. Invisalign – for a straighter, healthier smile, we offer Invisalign clear braces to realign your teeth and leave you with a beautiful smile you’ll be proud to share. TMJ dysfunction therapy – jaw pain, clicking and grinding sounds, and difficulty opening and closing your mouth are all warning signs of TMJ dysfunction. We offer a number of treatment options for those suffering from TMJ dysfunction, including Botox Therapeutic treatments. Gum Disease Treatment – if you’re suffering with gum disease, we offer a wide range of treatments to renew your oral health and leave you with a healthier smile. Our team of professionals includes two general dentists, Devon Conklin, DDS, Charlie Ward, DDS, and our experienced periodontist, Melody Ward, DDS, MS. Each of our dentists brings years of experience to our team, and this allows us to offer a range of dental treatments to ensure patients maintain their healthiest smiles. None of our dental care would be possible without the hard work of our clinical and administrative teams and hardworking dental hygienists who truly care about the patients we treat.